An afternoon of sun and football brought together different teams from the design and construction industry to raise money for an amazing cause! 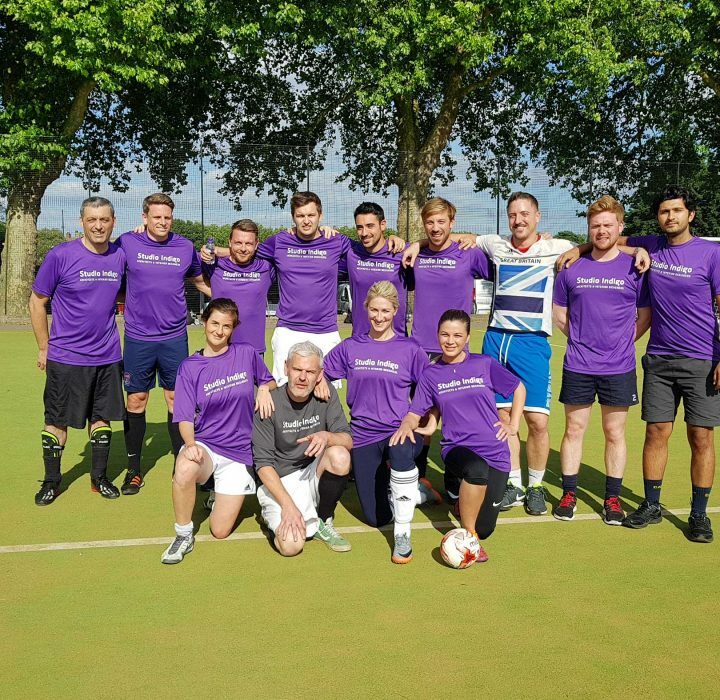 CC Construction and Knightsbridge AV organised 6 teams to compete against each other in a charity Football Tournament on the 14th June at Hurlingham Park. Studio Indigo was pleased to take part, bringing our best players forward – Luis, James, Andrew, Marco, Liam, Viktor, Adam, Aidin, Angela, Victoria, Eugenia and Laurence. Winning twice but just missing out on the final! In total, over £1,300 were raised towards Action for Children, an important charity supporting youth homelessness. To read more about this wonderful Charity, click here. Congratulations to Team Russell Hewes Electriciams for taking the cup! We would like to thank CC Construction and Knightbridge AV for organising such a fantastic day!